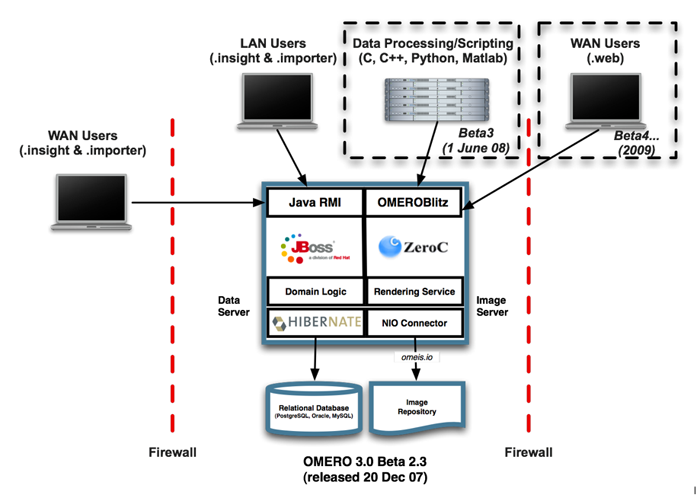 OME Remote Objects (OMERO) is Java Enterprise application that provides integration, visualization, management, and analysis of biological image data. The OMERO server is built as a set of separate but linked subsystems. All image data imported into an OME server is split into two types: binary pixel data is stored in an image repository and accessed through a Rendering Engine while all image and experimental metadata are stored within a relational database and accessed through the OMERO Metadata Service.